Scientists at Tel Aviv University have created a new tool to help understand the patterns of ancient earthquakes. 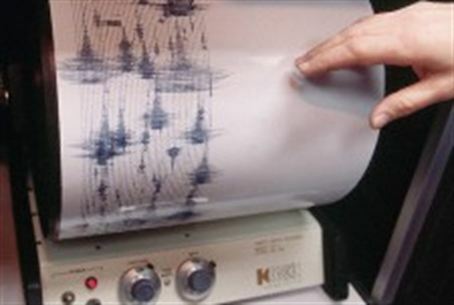 The “fossil seismograph” was invented by Professor Shmuel Marco of TAU's Department of Geophysics and Planetary Sciences in the Raymond and Beverly Sackler Faculty of Exact Sciences. Marco developed the tool with departmental colleague Professor Eyal Hefetz and doctoral student Nadav Wetzer. In an article published in the journal Geology, Marco said the invention was inspired by a strange “wave” phenomenon he studied in disturbed sediment in the Dead Sea region. The layers of mud were originally stratified in a very stable manner. However, heavier sediment now appears to have been pulled up into the lighter sediment, he explained. The researchers theorize that the physics governing the sediment patterns is similar to that found in clouds and sea waves – but those found in rocks are caused by earthquakes. They called this the “Kelvin-Helmholtz Instability” – a theory of turbulence in fluids. The new tool, developed with input from geologists and physicists, is relevant to areas where earthquakes affect bodies of water – like the West Coast of the United States, or the northeastern coast of Japan, where an 8.9-magnitude earthquake triggered a 30-foot tsunami last week. “We've expanded the window of observation beyond 100 years, to create, if you will, a 'fossil seismograph,'” Marco said, but added the tool is only relevant in earthquake zones that intersect with bodies of water such as lakes or the sea. It can help engineers understand what's at risk when they plan new hydroelectric power plants – an essential bit of wisdom given the tragic events in Japan this week.